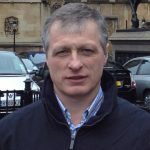 After completing a HND in agriculture at Harper Adams University College Duncan returned home to his family farm, in Lymm, Greater Manchester where he has helped triple the laying and rearing unit to 125,000 layers and 50,000 pullets, respectively. All the hens are now in new colony cages and the eggs produced on the farm are sold privately to wholesalers and in retail rounds. Duncan runs the rearing and production sites, with his brother Mark doing the selling and running the small arable enterprise. They have more recently invested in renewable energy and have installed Solar PV on both farms. Duncan lives at the main laying site, with his wife Gill, their daughter Lucy 25 a Doctor and their son Tom 23, an Accountant. Duncan was vice chairman of the NFU Poultry Board for 8 years and then Chairman for 6 years. Duncan stood down as Chairman in March and now is a member of the National Board, as a NW representative.